Find Sedona Vortexes with our interactive PDF guide that includes information on all 4 Sedona Vortexes as well as links to 4 indivdual vortex maps that you can view on your computer or mobile devices. Over 4 million visitors a year come to Sedona to experience Sedona Vortexes, view majestic Red Rocks and spiritual energy. 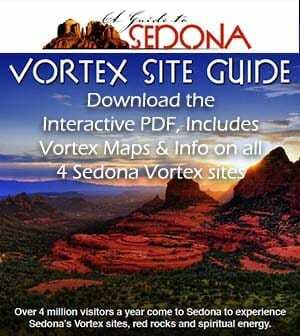 Now you can easily find Sedona Vortexes with this vortex map. Make your visit to Sedona and her Vortexes easy. Learn, listen and seek your own Sedona experience. 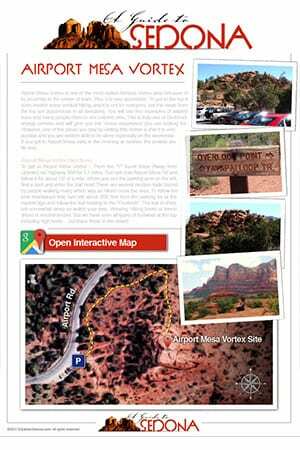 Document includes Sedona Vortex information, 4 links to interactive Sedona Vortex maps for use on your mobile devices. 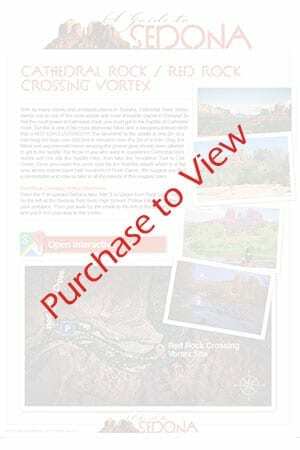 Vortex Maps include: Boynton Canyon Vortex site, Airport Mesa Vortex site, Bell Rock Vortex site, Cathedral Rock Vortex site. 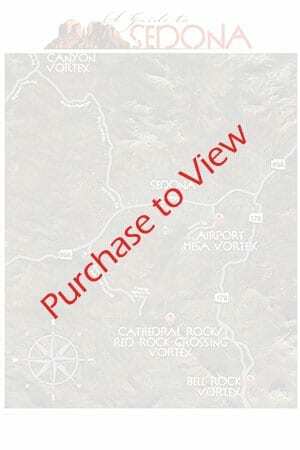 WHAT HAPPENS AFTER I PURCHASE THE SEDONA VORTEX MAP PRODUCT? Once you click purchase in your shopping cart and successfully pay for the product, the next screen is the confirmation screen. 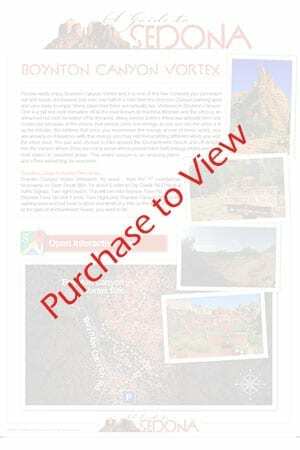 This screen holds the product download link entitled AGuidetoSedona.com-Vortex-Maps.pdf. Simply click this link to initiate the download to your computer, tablet or mobile device. You will also receive a confirmation email. Within this email, you will find the link AGuidetoSedona.com-Vortex-Maps.pdf. Click the link to download the Vortex Map PDF document. IMPORTANT: All sales are final. Location and other information is not guaranteed and is subject to change without notice.